Day Two (click here for day one), of our Coast to Coast cruiser comparo saw us leave the Crown Hotel in Kingston SE this mornning and head up in to South Australia’s famous Coorong National Park. There is some debate as to whether Coorong is based on the local Aboriginal’s ‘kurangh’ meaning ‘long-neck’, referencing the Coorong Lagoon’s shape, or the word Coorang, meaning sand-dune, which form the Younghusband Peninsula nearby. Either way, it is a region renowned for amazing scenery, attracting fishermen, campers, twitchers, four-wheel drive enthusiasts looking for sand dunes or numerous other activities. The protected area supports a huge number of endangered flora and fauna. One of the features along the way we stopped to take a look was Pelican Observation Point, there were plenty of Pelicans around but they were a bit camera shy. 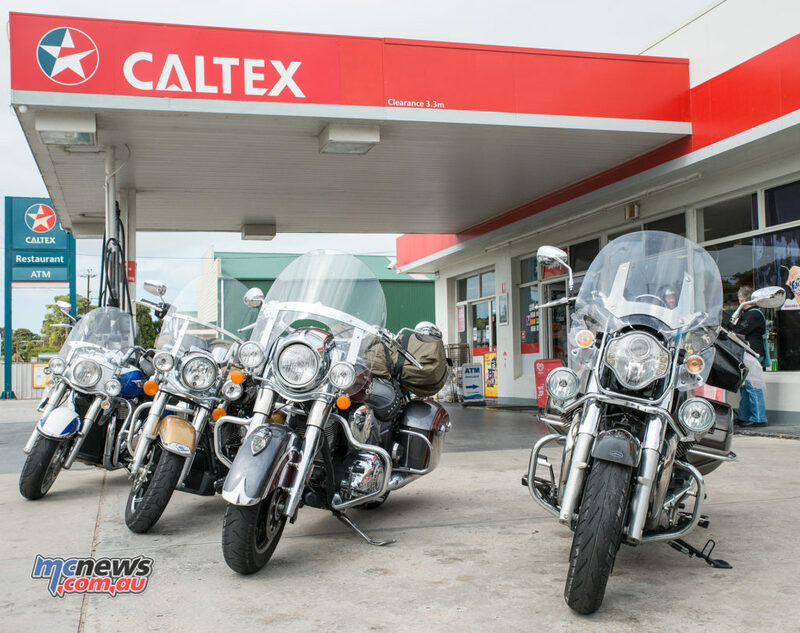 After filling each machine with Vortex 98 premium fuel at the Caltex Service Station at Meningie we worked our way out of The Coorong into Tailem Bend before heading for our lunchtime date with Kym McConnell from Competition Conversions in Thebarton, Adelaide. A huge thanks go to Kym McConnell for fitting us in and taking such good care of us. You can find them at Unit 3, 33 Light Terrace, Thebarton, Adelaide. The full dyno comparisons are shown below, with every 100rpm increment broken down to an exact figure taken from the dyno files, which makes for a much clearer comparison than simply dyno charts. 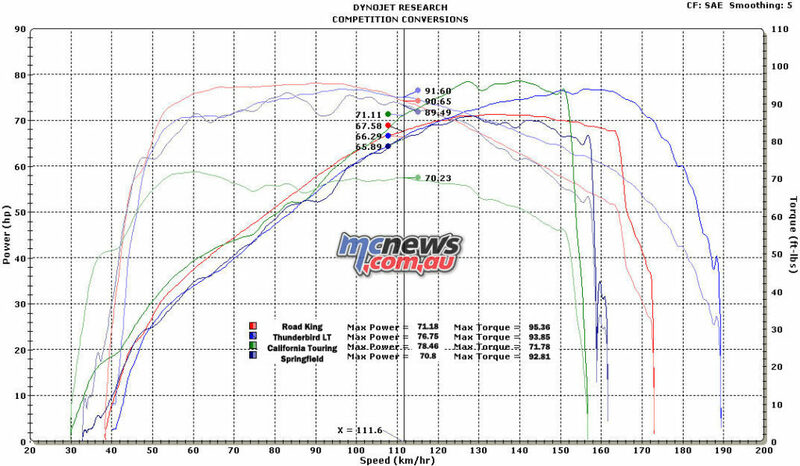 All machines had more than 1500km on them before the dyno runs, but the Harley was clearly the most well run in with over 4000km on the odometer by the time it hit the dyno. The Indian Springfield has stage one pipes fitted and the airbox restrictor removed but the other three bikes are stock. Indian also installed the fuel map to suit, but it is still fluffy and a bit cantankerous when cold. 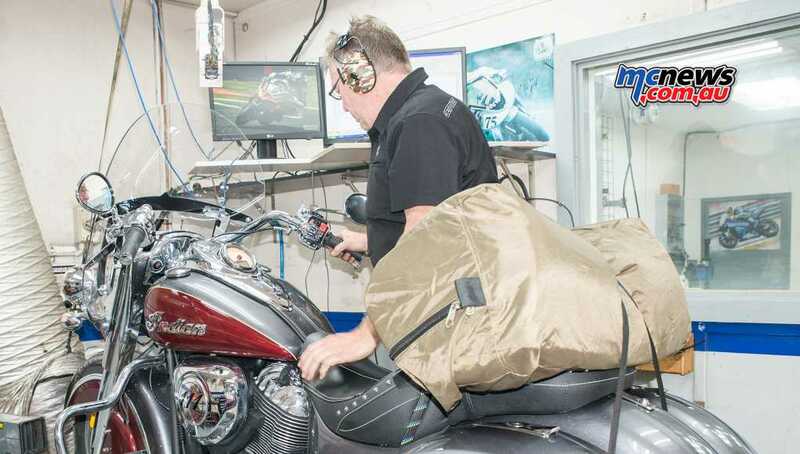 While there is a little more snap from the throttle than a standard Indian, the mapping and response is not as flawless as a standard bike, and that showed up on the dyno charts with a fair few wiggles in the chart that really shouldn’t be there. 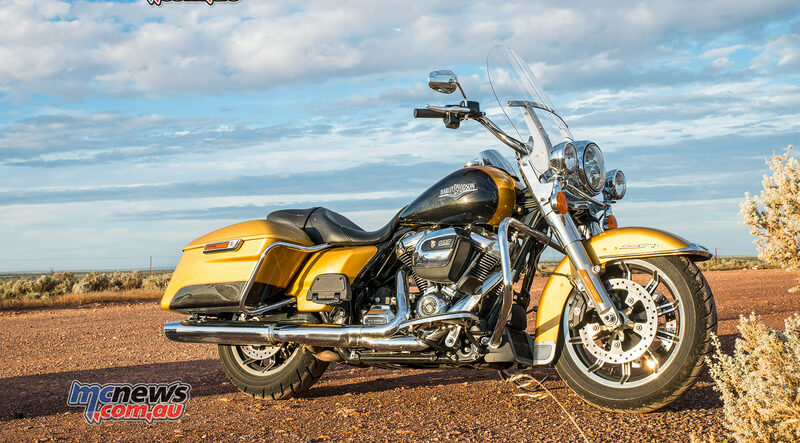 The Indian is still very strong everywhere, particularly right off idle, but check out the increments below to see just how good that new Milwaukee 8 engine is, the Harley makes more than 90 ft-lb of torque from 2000rpm through to 4000rpm. It’s a bloody good donk, and the benchmark here for this cruising lark. The Triumph is a close run second, pumping more than 90 ft-lb from 2600rpm through to 4000rpm in the torque stakes but outdoes both the American twins for power, pulling longer and stronger as the revs rise. 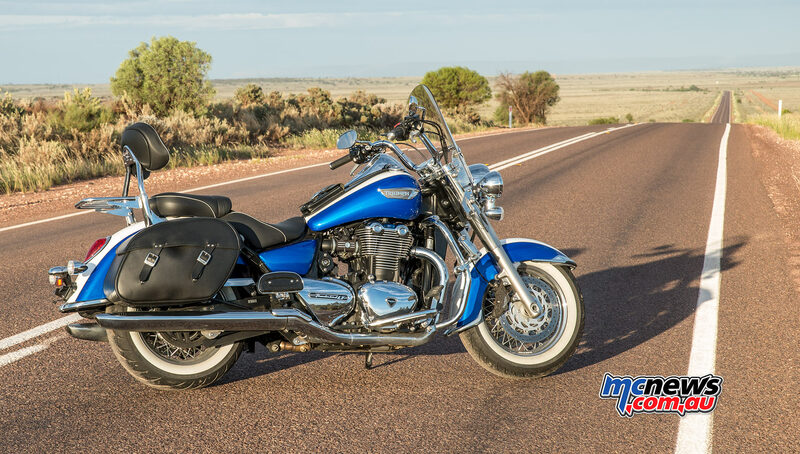 With the Triumph being the only fully liquid-cooled machine, and boasting a DOHC top end the Thunderbird LT was shaded by only the Moto Guzzi when it came to top end power, while almost matching the Harley for torque. It lays down the power very smoothly and the throttle action is very smooth, which somewhat masks just how grunty the big Triumph actually is. The much smaller capacity Guzzi, understandably suffers in the bottom end torque wars but makes up for it somewhat by running shorter gearing which aids response. It, somewhat surprisingly, won the horsepower wars though! The Guzzi is the most sporting of these engines by a fair margin. 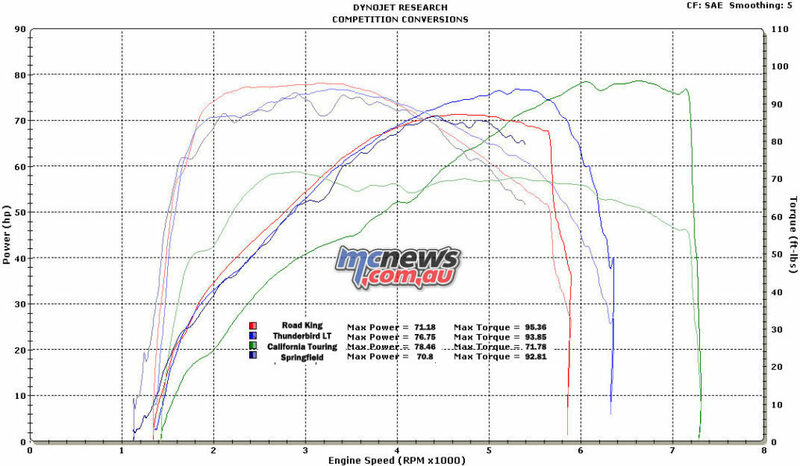 It’s still pulling a fair head of steam well after the others have smashed their limiters, and makes the peak horsepower here with 78.5 horsepower at 6600rpm. In other words, it still hauls arse, despite giving away the bottom end torque game to the big engines here it still shifts its lighter arse along very well. It still grunts fairly hard off the bottom too on the road, thanks in no small part by its shorter gearing and smooth shifting gearbox. 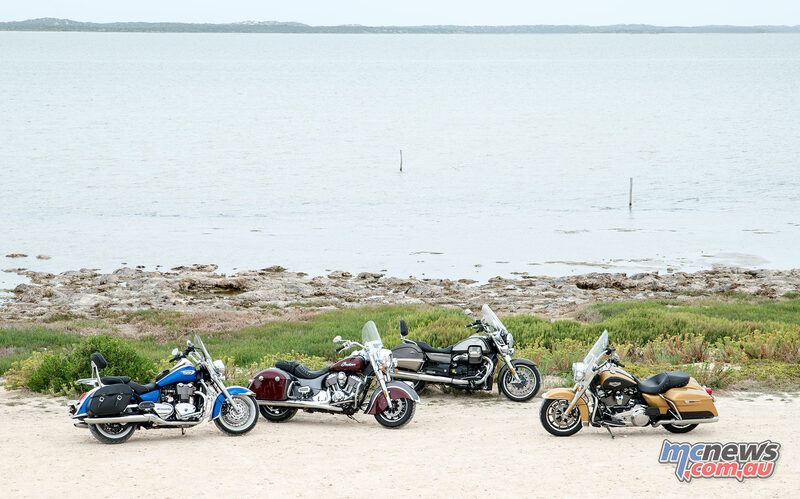 The Harley is still winning the fuel economy wars. 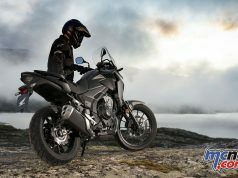 The Milwaukee Eight powered machine has so far averaged 5.62 litres per 100km. Second in the fuel miser stakes is the Triumph recording a close second with 5.75 litres per 100km. The air-cooled Indian is third best at a much worse 6.73 litres per 100km while the Guzzler, sorry Moto Guzzi, has slurped 7.27 litres per 100km. 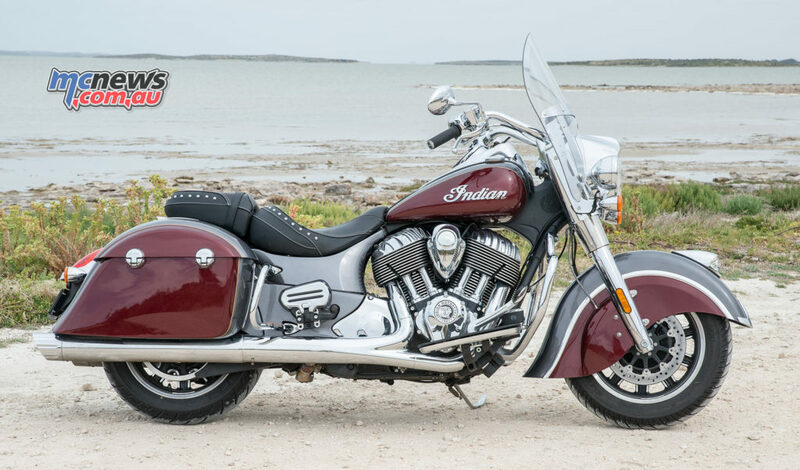 It’s also worth noting that due to a communication error, the Indian Springfield was supplied without being properly run in or having the first oil change done. 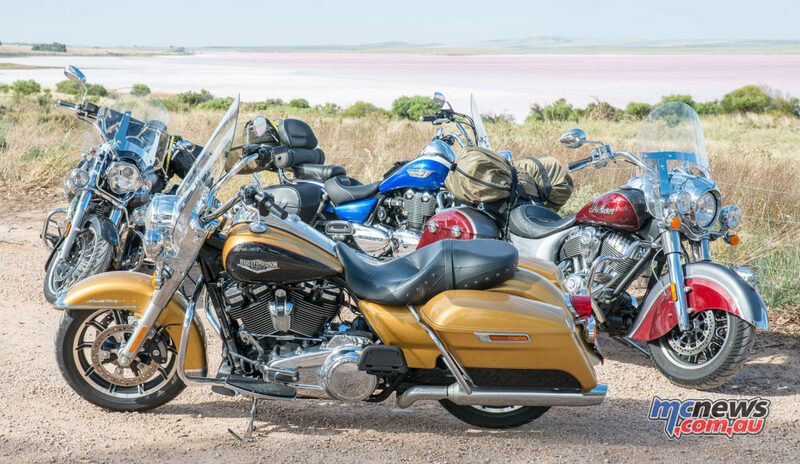 My innate mechanical sympathy couldn’t cope with taking a massive air-cooled twin 4000km across Australia without doing its first oil change, so we also dropped into Indian Motorcycles Adelaide for a quick oil change. While there we added a little more air into the rear suspension to stiffen things up for the full load we were carrying. 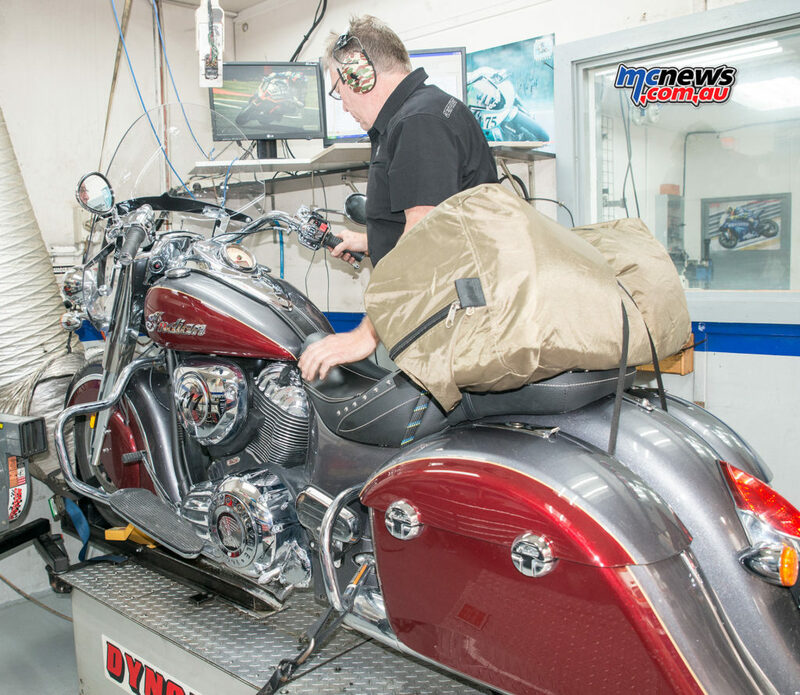 Following the dyno runs it was on to Evan Byles’ SA Motorcycles in Gepps Cross, where some of our crew were keen to take the opportunity to upgrade their riding gear before the next leg of our journey. Once out of town we continued along Port Wakefield Road to Port Augusta for some more fuel before continuing on through Iron Knob, eventually pulling up stumps in Kimba, where we enjoyed a decent curry cooked by a Nepalese chef at the local pub. While we only covered around 800 kilometres it was a productive day, with four machines run up on the dyno and an oil change on the Indian. 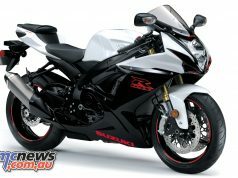 Good thorough write up! Great to see the side by side bhp and torque figures on these cruisers, especially on the new Milwaukee Eight. Done that trip many a time on my 750 GuzzI. Never had any problems. Doesn’t late all the fancy extras. I just ride from sun up to sunset. The heat has never been an issue. 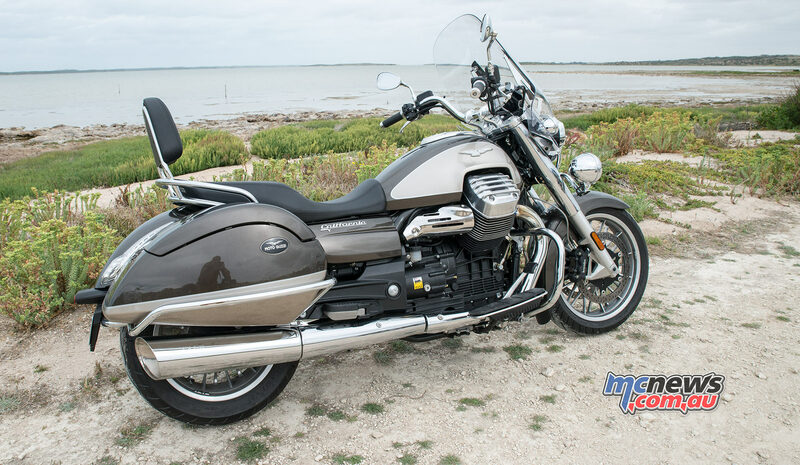 GuzzI’s like to be ridden and can handle all conditions without being Molly coddled. I only change the oil when it looks dirty, about 5000 ks.